This past weekend personnel from Clifford, Hallstead, Little Meadows and Greenfield attended an SBS program in Chester County, Pa.
Once again we battled extreme heat with temperatures topping out Saturday at 96. 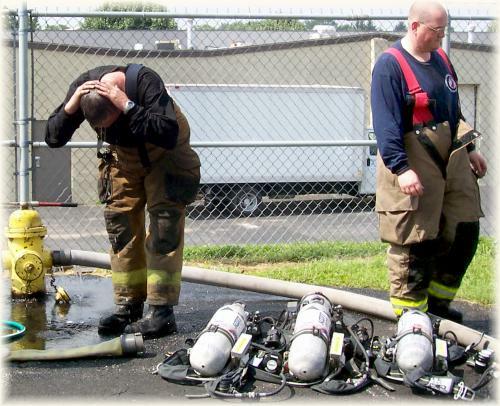 Also included in the class was Trainer Fire Company of Delaware County. Special thanks to the Chester County staff as well as the Trainer Fire Company for their hospitality.